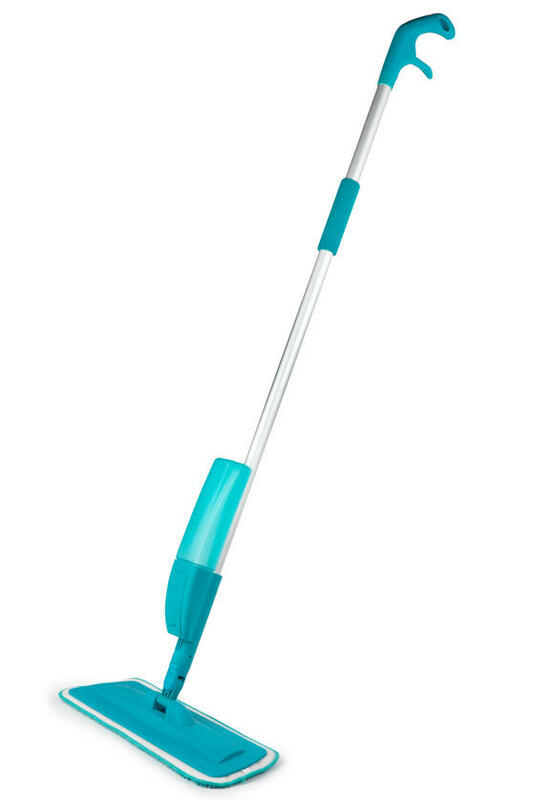 Discover a more efficient way to clean your floors with this turquoise spray mop which eliminates the need for a heavy water bucket. Simply fill the water cartridge and use the spray function to add water while you mop for an intense clean with minimal effort. 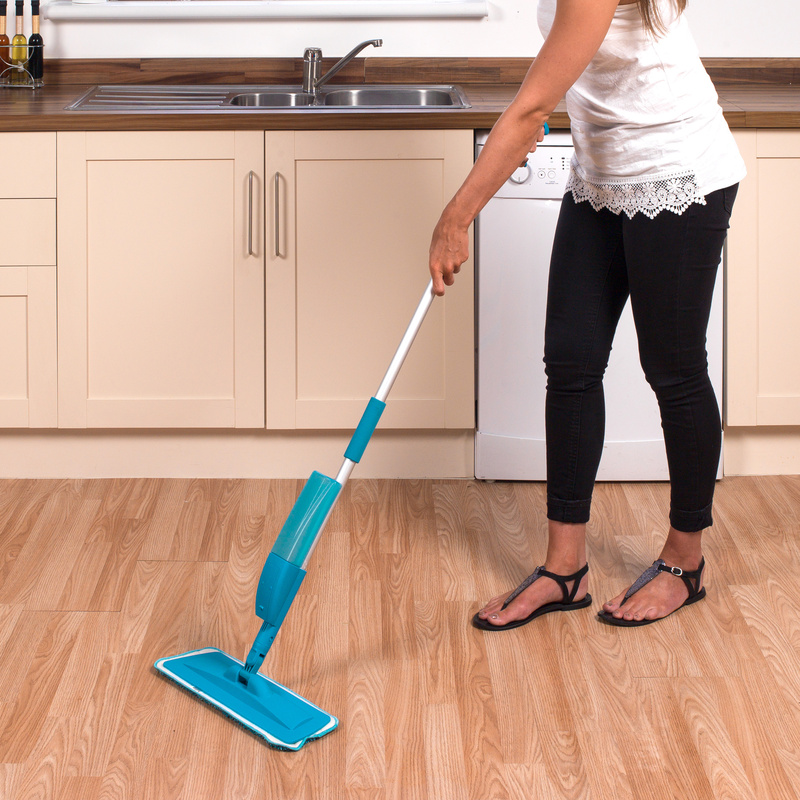 The mop is lightweight but durable, with an aluminium handle which is moulded for comfort during cleaning, while the microfibre mop head pad locks in dirt and grime effectively, leaving your floors brilliantly clean with maximum shine. 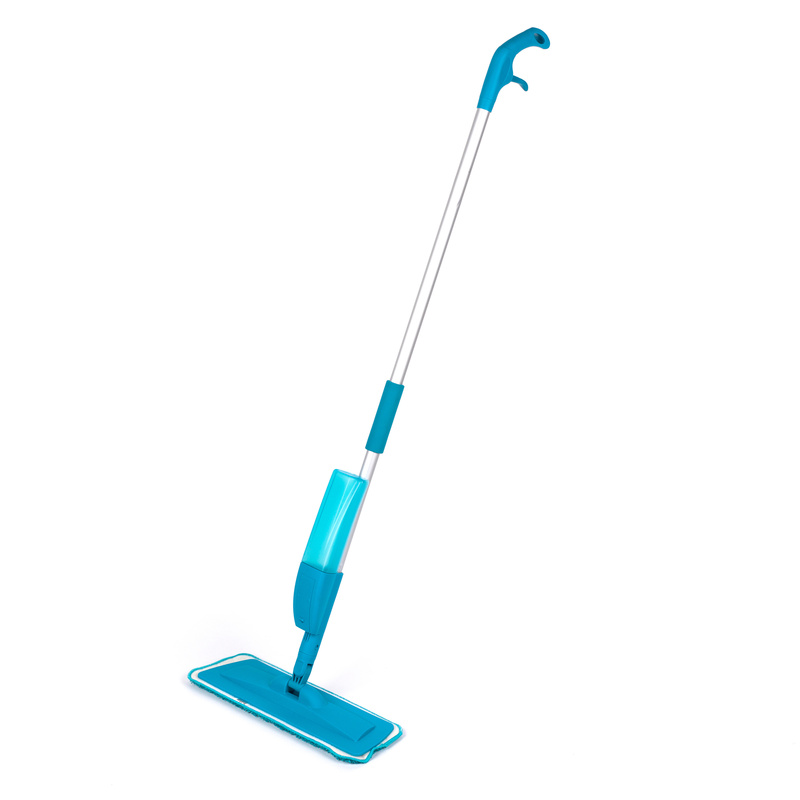 This Beldray spray mop is lightweight and easy to use, measuring 42.5 x 14.5 cm with a 119 cm handle, long enough for comfortable use. The 350 ml water cartridge capacity allows for more cleaning time between refills so you can clean a larger surface area faster. The handheld trigger increases the convenience of the mop, while the refillable cartridge is a hygienic alternative to a mop bucket. The microfibre pad picks up and locks in dirt, containing it rather than pushing it around the floor, guaranteeing an effective clean. 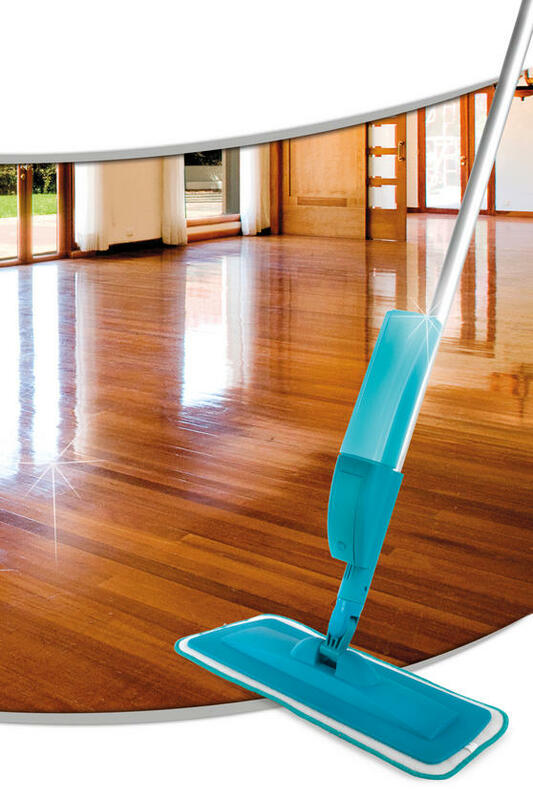 Suitable for all hard floors, the mop has powerful cleaning action and enables you to clean chemically-free with no streaks or residue.